The Prospero’s welcomed Baby Forbes into the family last night and they know they have a few sleepless nights ahead of them with a new baby. At least today is a Saturday so Fortuna doesn’t have school and Rosabelle is on Family Leave from work. 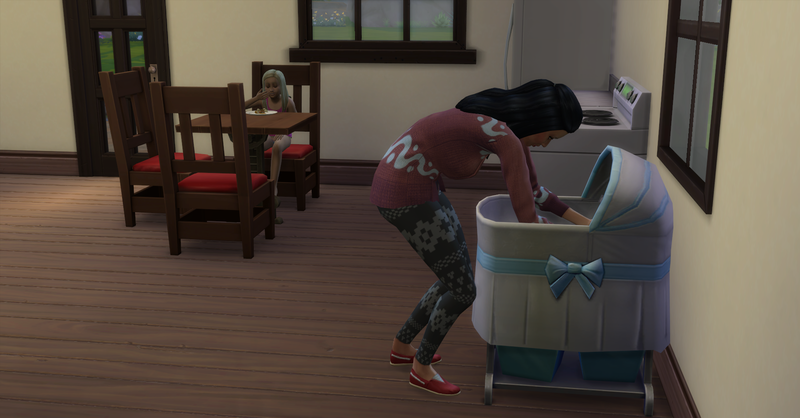 Rosabelle wakes up to Baby Forbes screaming. She breast feeds him and then uses the computer. 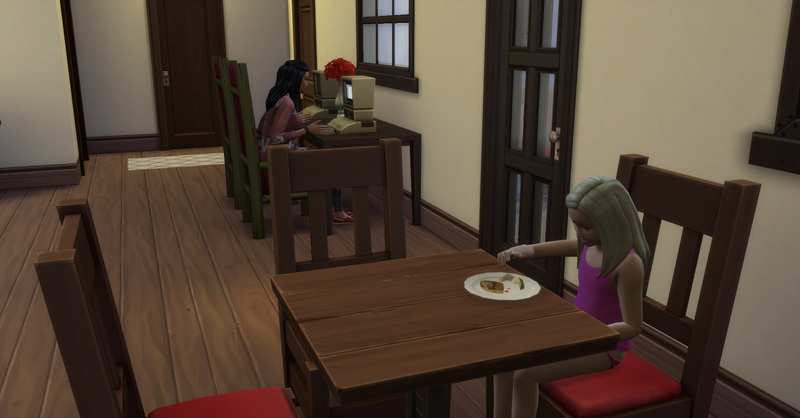 Fortuna is also up and eating a breakfast of leftovers.